Staying Healthy Over the Holidays! Ellen Schutt, chief mom officer at Xigo Health, a dietary supplement company that is all about knowing and understanding moms and what’s important to them. Huggies Mom Inspired guest – Linda Varga, ezShade creator and MomInspired™ Grant Recipient. Andrea Woroch shares some tips on Cyber Monday. The Mom’s Roundtable discusses Reducing Mommy Guilt during the holiday’s for Working and/or Stay at home Moms. Debi Silber, founder of The Mojo Coach has a Holiday Weight Gain Prevention Plan. 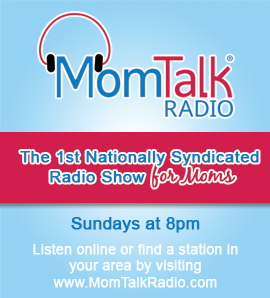 Listen to the podcast here or download the free Mom Talk Radio app here.